Sir Isaac Newton (1642 – 1727) said, "About the time of the end, in all probability, a body of men will be raised up who will turn their attention to the prophecies, and insist upon their literal interpretation in the midst of much clamour and oppositions." The second coming of Yeshua (Jesus) is always connected to the conversion of the nation of Israel. God has two timepieces, but they function only one at a time. Israel, His first timepiece, stopped with the cutting off of the Messiah. His second timepiece, the church, made up of true believers, including many Messianic Jews, is still ticking away the countdown to the rapture, but only God can read the face. He alone can see the hands of the clock. At the end of the church age Israel’s clock will be restarted and set to go off at the end of a seven year period. Israel’s clock is easily read, for it is clearly outlined in Scriptures, such as in the books of Daniel and Revelation. The fig tree’s peculiarity is that the blossoms of the fruit appear before the leaves. Naturally, therefore, we should look for fruit on a tree in full leaf. This accounts for why Yeshua cursed the Fig tree that had on it nothing but leaves (Matthew 21: 18 – 20). The presence of the leaves led Him to expect fruit, and when He found none He cursed the tree for its fruitlessness. Mark gives us another version of the incident; Mark 11:12 - 14. He says that Yeshua (Jesus) found nothing but leaves, "for the time of figs was NOT YET." Why then curse the tree? This is easily explained: In Israel, the early fruit, or blossoms, appear in spring before the leaves open, on branches of the last year's growth, and the first ripe fruit is ready in June or earlier. The late figs grow on the new wood and keep appearing during the season, and are ripe from August onward. The unripe fruit of autumn often survives the winter and ripens when vegetation revives in the spring. Now it was about the first of April that Yeshua cursed the Fig tree, and the time of figs was not yet, because they did not ripen before June. But fig trees which have retained their leaves through the winter usually have some of the last year's figs also, and as April was too early for new leaves or fruit, Yeshua (Jesus) knowing this, and seeing leaves on the tree, naturally expected to find some of last year's fruit, and when He found none He cursed the tree because of its deceptive character. The Fig Tree is the Biblical Emblem or symbol of the nation Israel nationally. When Yeshua (Jesus) was coming into the city, He saw a fig tree that had lots of leaves but no fruit and he cursed it and it dried up, and it can be explained how that was symbolic of His going into Jerusalem the Capital City of the nation. The Jewish people and the nation of Israel had lots of leaves, but no real fruit. (Luke 13:1-9) They were religious but no real relationship with God. So Yeshua cursed that fig tree and spoke of the curse that was about to come upon the nation of Israel and how they would go through terrible times. In the Parable of the "Barren Fig tree" (Luke 13:6 – 8) we have, another picture of Israel. The "Fig tree" is the Jewish nation. The "Fig tree" was planted in a "Vineyard" (Psalm 80:8 - 9). The owner of the Vineyard and of the Fig tree was God. He came in the person of His Son Yeshua (Jesus), and for three years of Yeshua' ministry He had sought for fruit from the Jewish nation and found none. He therefore decided to cut down the tree, that is, remove the nation from the Vineyard. The tree was not destroyed immediately, for intercession was made for it, and the day of grace was lengthened out for forty years, and then the "axe-man" Titus, at the head of the Roman Army besieged Jerusalem in A. D. 70, and Israel, the Fig tree, was cut down and cast out of the Vineyard into the field of the world. The Romans came down into Jerusalem, destroyed the city, and took over the country. And the people - the Israelites, the Jews, were scattered through out the whole world and they had no homeland any longer. They wanted to eradicate even the memory of Israel. "Governed by God" is what Israel means literally. The Romans said, that from now on; this land will be called "Philistia" or "Palestine" the land of the Philistines, and the Jews, were scattered everywhere. This is not surprising. For we see in (Deuteronomy 28), centuries earlier and fifteen hundred years before the actual event took place, God spoke prophetically about Israel. But, while the "Fig tree" (Israel) , was cut down and cast out of the "Vineyard"(Palestine), its root was not destroyed, the axe was only laid at the root of the "Tree" (Luke 3:7 – 9), the root itself was not killed or removed from the soil. It is clear then from the "Parable of the Fig tree," (Matthew 24:32 -34), that a new tree will spring from the root, that is, the nation of Israel will revive, and when it shall reach the point where it shall "put forth leaves" then we shall have the "FIG TREE SIGN" that Christ's return is not far away. In this case the "Fig tree" will bear leaves before it bears fruit, for Israel is to be revived nationally before she is converted. Israel had been set aside for 2,000 years without signs of life: no leaves, no bud, no sap, no bloom and no real fruit, total barren in man’s sight. But, even though the tree of Israel appears dead outwardly, the living root is still there. Like a dormant volcano, there is life underneath. Many things point to the fact that the end of the age is nearing, but the dominant sign is the fact that Israel is back in her homeland, as of 1948 and back in the unified City of Jerusalem as of 1967. However, what God will use as a date to mark off the time of a generation is not known, but the generation that sees the beginning will see the climatic ending of this present age. One of the most perplexing and sought-after figures among students of Bible prophecy is the length of a generation. There is much disagreement among both secular and religious writers concerning the length of a generation. Is the length of a generation forty years, as believed by many? And, is there any evidence to suggest that the length of a generation is longer than forty years? Just how long is a generation today? Is there an answer to the generation question? Again it should be noted that perhaps the most widely held belief for the length of a generation is forty years. A forty-year period was required for the disobedient generation of Moses’ day to die off in the wilderness. Disregarding untimely or unnatural deaths due to epidemics, famine and war, there is evidence in the Scriptures and in recent history to support a 70 - 80 year life span for the past 3000 years. The evidence for a 70 - 80 year lifespan was present during the 10th century B.C. during the reign of King David. Perhaps the most significant declaration in the Bible for the life span of man is given in Psalm 90. The Psalmist states that the life span of man is seventy years with eighty years being the upper range of normal life expectancy; "…the days of our years are threescore years and ten; and if by reason of strength they be fourscore years, yet is their strength labour and sorrow; for it is soon cut off and we fly away…So teach us to number our days, that we may apply our hearts unto wisdom. Return, O Lord, how long?" The Generation that saw the fig tree putting forth it's leaves and its branch tender; Yeshua (Jesus) said when you see a tree come back to life, as all the trees do out of the dead of winter, it begins to sprout and become green and burst forth, it seemed to be dead but it returns to life; "that when you see this happen you know that summer is nigh so to when you see the budding of the fig tree know this that My coming is nigh even at the very door and the generation that sees the budding of the fig tree shall not pass away till all these things be fulfilled" (Matthew 24:32 - 36 ). As we entertain the possibility that we may be the generation Yeshua (Jesus) was talking about in the fig tree parable nearly 2000 years ago, we are admonished by the Scriptures to watch and be prepared. As stated clearly by Yeshua in Matthew and Mark, no man knows the day or the hour of His coming but the Father only (Matthew 24:32 – 36 and 1 Thessalonians 5:4). The same Yeshua, however, was very angry with the Pharisees and Scribes for not discerning "the signs of the times" and not knowing the "time of their visitation." In these thought-provoking and challenging times in which we are living, we need to be informed and discerning like "the children of Issachar, which were men that had understanding of the times, to know what Israel ought to do…" (1 Chronicles 12:32). On May 14th 1948, something happened that never happened in world history, before or since, a nation was reborn; ISRAEL. May 14th 1948 Israel became a nation once more with a homeland ~~~ the fig tree blossomed! The fig tree that appeared to be dead, dry, withered and hopeless suddenly springs back to life, putting forth branches, sprouting leaves, blossoming, producing fruit, and putting down deep roots. The Fig Tree: symbolizes Israel’s National privileges (Hosea 9:10; Jer. 24:5; Matt. 24:32, 33). The Olive Tree: symbolizes Israel’s Religious privileges (Hosea 14:5 – 6; Isaiah 17:4-6; Isaiah 24:5-15; Psalm 52:8; Psalm 128; Romans 11:7 – 24). In Jeremiah 11:1 - 17, ISRAEL is called a "GREEN OLIVE TREE," fair, and of goodly fruit, but is warned that for its idolatry its branches shall be broken off. The most striking Scriptural counterpart to Romans 11 is Jeremiah 11. Both chapters speak of God's "olive tree." Jeremiah 11 makes it abundantly clear -- 5 times ~ that the olive tree is synonymous with God's covenant people ISRAEL. 1) The word "covenant" is repeated five times. This entire passage is directed to God's covenant people. 2) God's covenant people are called an "Olive Tree." 3) Because of covenant unfaithfulness, branches of the Olive Tree are broken off. When the Apostle Paul wrote Romans 11, he was well aware of the way the existing Scriptures used the "olive tree" motif. He knew that the "olive tree" was synonymous with God's covenant people, and he knew that people unfaithful to the covenant would eventually be broken off the tree. So, how does Paul incorporate the "olive tree" into Romans 11? Let's take a look at the passage itself. 1) The "cultivated olive tree" in this passage is synonymous with Old Testament Israel. 2) Individual covenant members are called the "branches." 3) "Because of unbelief," many Israelites were "broken off" the olive tree. Notice how similar Romans 11 is to the Old Testament "olive tree" passages, especially Jeremiah 11. In Jeremiah 11, God's covenant people are called an "Olive Tree," and because of covenant unfaithfulness, branches of the Olive Tree are broken off. We see the same language used in Isaiah 17 and 24. Paul is definitely retaining the Old Testament imagery. The "olive tree" is God's covenant people, and people can be "cut off" the tree if they are unfaithful to the covenant. 1) Unsaved Gentiles are part of a separate tree altogether, the "wild olive tree." 2) When Gentiles are saved by faith, they are cut off the "wild olive tree" and grafted into the "cultivated olive tree." 3) In other words, they are grafted into Israel itself. Gentiles and Jews are now part of the same tree. In agreement with Jeremiah 11 and Isaiah 17 and 24, Israelites were "cut off" from the olive tree "because of unbelief." We can see that the Apostle Paul did not write Romans 11 in a vacuum. He was a biblical scholar, well-versed in the Old Testament Scriptures. Paul was a "Pharisee of Pharisees" (Acts 23:6) who studied under the illustrious teacher; Gamaliel (Acts 22:3). In other words, the Apostle Paul was an Old Testament scholar. He knew the Old Testament Scriptures backwards and forwards, and was well acquainted with the imagery and symbolism which was used in it. Paul was well aware of the "olive tree" motif that shows up repeatedly throughout Scripture. God's covenant people are called "olive trees" in Hosea 14, Isaiah 17, Isaiah 24, Psalm 52, Psalm 128, and very strikingly in Jeremiah 11. Paul had these passages in mind when he wrote Romans 11. It appears that the Apostle Paul wrote Romans 11 as a New Covenant parallel of ~~~ Jeremiah 11. In the Old Testament, Jews alone were part of the covenantal olive tree. In Romans 11, Paul tells us that the Gentiles are now grafted into the same tree, right beside the Jews. And, in the Old Testament, "branches" (individual people) could be "cut off" from the olive tree as judgment for unfaithfulness to God (Jeremiah 11:16). Likewise in Romans 11, "branches" can be "cut off" as judgment for unfaithfulness to God (Romans 11:22). So we see that those who claim that the "Wild Olive Branches" that are grafted in represent the Church, and that the Church has taken the place of Israel, are in error, for the "Wild Olive Branches" do not remain on the "Good Olive Tree," but will be broken off that the original branches may be grafted back again. 1. "Blindness" in part has happened to Israel until the "Fullness of the Gentiles come in." By the "FULNESS OF THE GENTILES" is not meant the "Times of the Gentiles," but those Gentiles who shall be saved through the Gospel. And when the last Gentile shall be thus saved the "FULL NUMBER" of saved Gentiles will be complete. 2. That the "Wild Olive Branches" that are grafted in do not take the place of the branches that were broken off, and because they shall not "continue in God's goodness" they shall be broken off again. 3. That God has not "Cast Away" His people Israel, and that He will revive the broken off branches and graft them back again. We are now living in the times the ancient Jewish prophets wrote about. The prophecy about Israel does not stop with the rebirth of the nation. The Bible has laid out the future. As time goes on, God’s prophetic plan as outlined in the Bible has become clearer. By watching events involving Israel and Jerusalem, the prophetic time can be determined. Yeshua (Jesus) said that Jerusalem was God’s prophetic timepiece. He said that Jerusalem would be trodden down by non-Jews (Gentiles) until a certain fixed period of time. The fixed period of time had to do with the end of the age and His second coming (Luke 21:24). In 586 BC, he destroyed Jerusalem and led the Jews captive to Babylon. He ended the rule of the kings of Israel. From 586 BC onward, Israel never had another king. The nation was at the mercy of one empire after another. The Babylonian, Persian, Greek and Roman empires all ruled over Jerusalem. The prophet Ezekiel said the Jews would go into all the nations and the land (Israel) would be desolate. (Ezekiel 36:35) The worldwide dispersion began in the year AD 70 when the Temple was destroyed. In 136 AD, the Romans crushed a second revolt. This time Jerusalem was totally destroyed, over half a million Jews were killed, and the rest were sold into slavery throughout the Roman Empire. The Roman Emperor Hadrian, renamed Jerusalem; "Aelia Capitolina" and changed the name of Israel to "Philestina" (Palestine). The Babylonians had taken away the "kingdom" and the Romans took away the "priesthood!" Interesting to note; the destruction of the First Temple by the Babylonians and the Second Temple by the Romans were both destroyed on the very same day, hundreds of years apart; the 9th day of AV. Both destructions marked the beginning of the Jewish captivity into the nations. 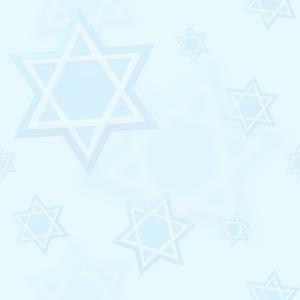 To this day, the 9th of AV is a day of mourning to the Jewish people. The destruction of the nation continued for century after century with no end in sight. Empire after empire ruled the area, but there was always a small remnant of JEWS living on the land and especially in Jerusalem. Jerusalem was never the capital of any other nation! There was never another sovereign nation on the land of Israel or a country that had its "capital" as Jerusalem. Even under the rule of the Ottoman Turks, Jerusalem was a desolate city, with Damascus as the ‘provincial capital’ over it. ~ Since 14th May, 1948 the nation is once again under Jewish control. In June 1967 all of Jerusalem came under the authority of the Nation of Israel. And, in July 1980 Jerusalem officially became "the Capital of Israel" as it was in the days of King David. The tension between Israel and the Koran can never be peacefully resolved. For Islam to recognize the nation of Israel would be an admission that the Koran is wrong! Muslim fundamentalists refer to Israel as the "Zionist Entity" and they will NOT recognize the nation of Israel. Israel is proof that the BIBLE is true and the Koran false! We are reminded that the land of Israel belongs to the Lord God, so therefore He is the "Land-Lord" and since He owns the land He can give it to who ever He chooses to give it to. He has made an everlasting Covenant with Abraham, Isaac and Jacob (Israel), and the Jewish people. Therefore Islamic countries are coveting the land, and since they also want to annihilate the Jews, all this is sin.